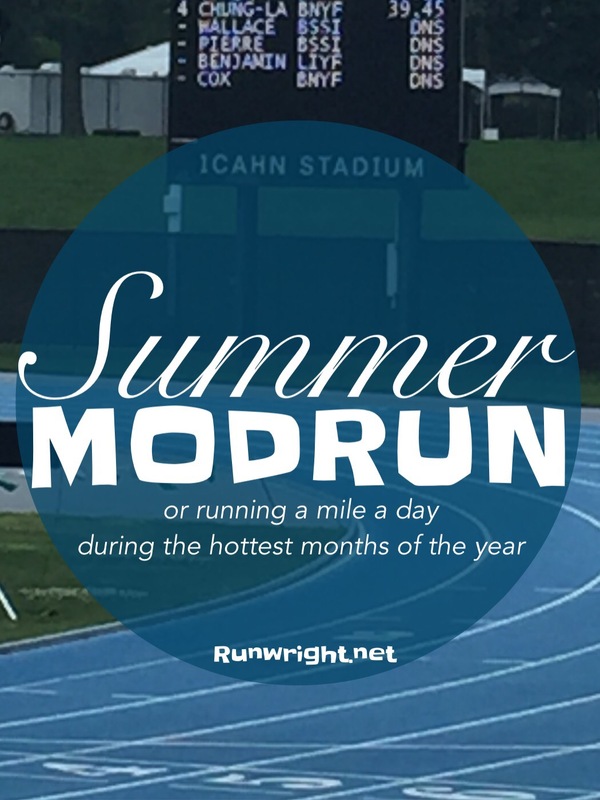 The MODRUN is what I call my Modified Running Streak – I run everyday for 6 days and take a rest day on Saturday. I’ve done it before, usually to kickstart my running after an extended break. There are no rules except that I have to run at least 1 mile every day. I went to our church olympics yesterday and got super-inspired to start training for some events. Seeing some of the older runners, and some of the young ones too, man I just wanted to burst out running. My friend who’s a trainer recommended that I do another running streak. Every day, run, he said. I could do that! It’s so hot around these parts that I’m not really looking forward to it though. Last week the temperatures got up to the 90s and I think they’re predicting the same this week. I’m the opposite of a snow bird in that I hibernate from running in the summer heat but I have to change that if I want to be ready for the Fall race season. It’s going to mean running at night or early morning but I’ll do it. I look forward to sharing my experience with you so stick around for updates. Today is also the start of the BookTube read-a-thon and you catch my video about that on my YouTube channel. What’s on your list of things To-Do this week? Good luck with it – take care right?